Monday to Friday: 11 a.m. - 8 p.m.
Saturday, Sunday, Public Holiday: 11 a.m. - 7 p.m.
After Little Travis comes into my life, time is always not enough. No time to slowly blow dry my hair or style it. I need a hairstyle that requires minimum effort to manage! I am glad to try K-Gloss Hair Treatment from my favorite Hair Salon! 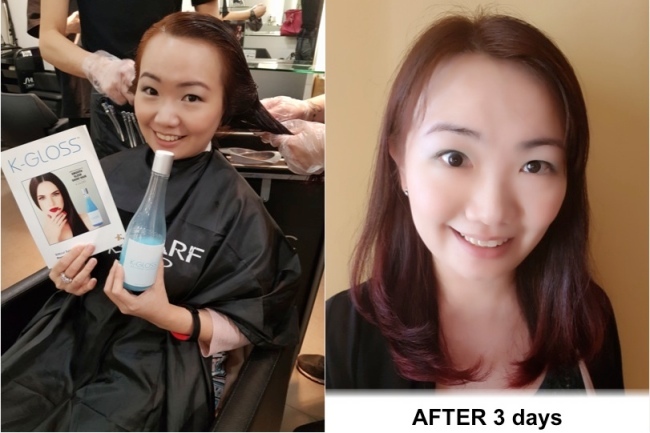 Silkcut Salon, a hidden gem at Tiong Bahru. It is my favorite salon in Singapore. Their best-selling services and products include Goldwell Kerasilk Keratin Treatment, Korean Wave Volume Rebonding Perm Perming, Milbon Treatment, Olaplex Treatment, Goldwell Nectaya non-ammonia colours and kms hair products. 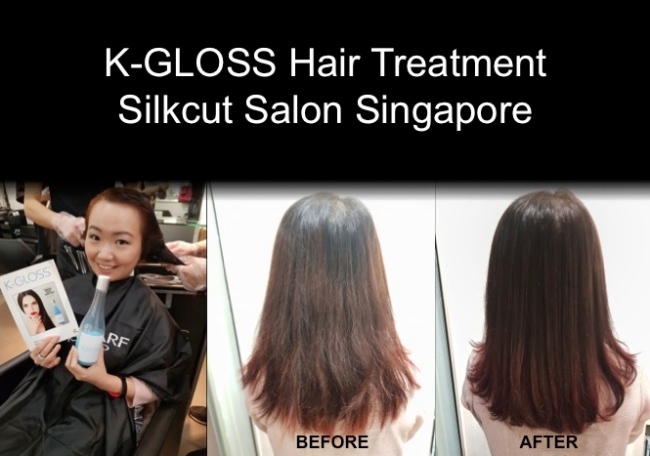 K-Gloss hair treatment is a protein smoothing treatment. The treatment will help to make the lifeless and dry hair, more manageable and healthier. It leaves the hair more lustrous and free of frizzies. It works on all hair types. The Keration and Collagen are infused to rebuild hair fiber. It is also Safe to use an color treated hair and chemically treated hair. It eliminates frizz by 90% and can last up to 4 months. It help to minimise our annoying frizz and soften our curls. It is a water-based and it acquires its keratin from aquatic marine organisms. 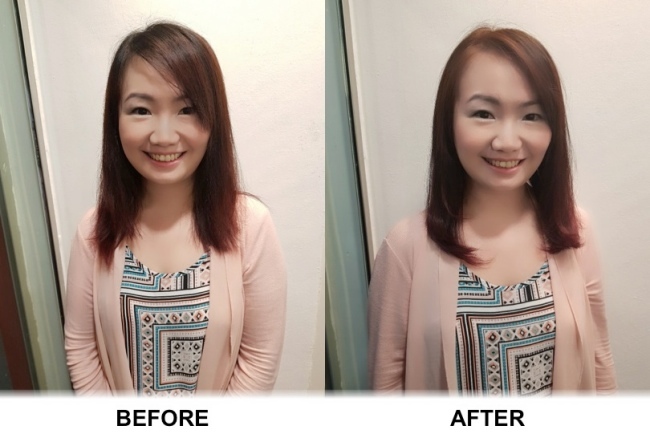 If you intend to do color, it is recommended to do color/highlight services before the K-Gloss treatment. 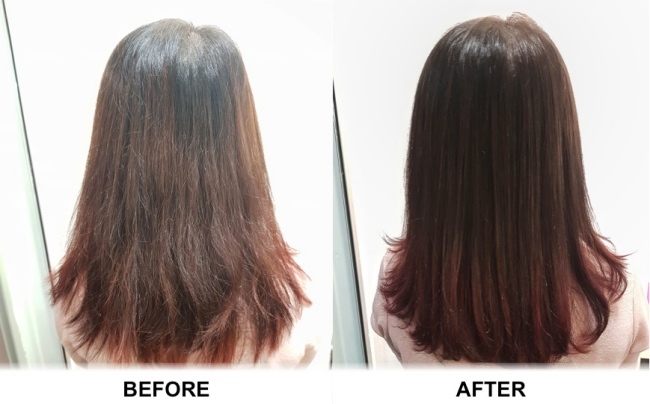 If you do K-Gloss treatment after the color, it will lock the new color better and improve color vibrancy! Depending on your hair length and thickness, it takes about 1 - 1.5 hours to apply. Watch how it was done on my YouTube Channel below! Above information is for reference only. Hop on to Silkcut Salon Facebook for more information.